There are only two things I actually enjoy buying - food and books. I guess I'm nerdy that way. Before coming to Brazil I bought the Moleskine Recipe Journal and I just went online to see if they are still for sale, and the answer is yes, yes they are. *Sigh of relief* I'm seriously thinking of buying a life supply of Recipe Journals just in case Moleskin stops making them. Don't you hate when a product you love is no longer to be found? For the past couple of years now we've become Moleskin addicts. Christian uses his Moleskin planner every single day and I use my Moleskin recipe journal daily too. // The double pocket on the back which fits receipts, clippings, notes, etc. // Stickers. Yes, there are stickers. If Moleskine ever stops making their passion collection I might cry. Oh, and for all you expectant mother's I just saw that Moleskin came out with a baby journal. I know! Here's a short little video. 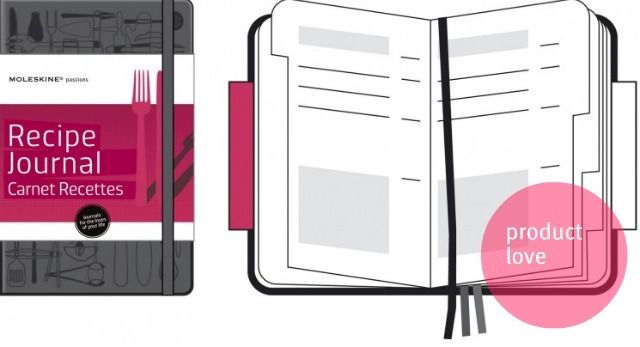 Have you ever owned a Moleskine planner or journal? Are you as passionate about them as I am?